Diagrams play an important role in geometry teaching. 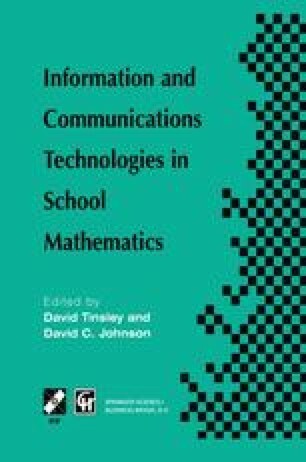 An analysis of tasks and students’ behaviour in solving problems in two different environments, paper-and-pencil or computer, indicated that the dynamic nature of the software changes the relationship between diagrams and the theoretical aspects of the subject. Learning geometry seems to involve not only learning how to use theoretical statements in deductive reasoning, but also learning to recognise visually relevant spatial-graphical invariants attached to geometrical invariants. Observations of students revealed that this was not easy for them—moving between the spatial and the theoretical domains was not spontaneous and they tended to consider each domain independently. Geometry software direct manipulation problem solving case studies.